MessageGears today announced the appointment of email industry veteran Arthur Sweetser to its executive team as Senior Vice President of Strategic Accounts. Sweeter is the latest addition to the executive team of the company, whose platform provides enterprise cross-channel messaging capabilities to companies like Expedia, Ebates, and Chick-fil-A. Sweetser brings two decades of leadership experience in the email and loyalty marketing space. 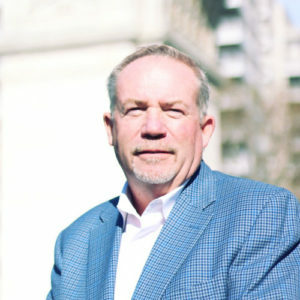 As Chief Marketing Officer and Chief Operating Officer at e-Dialog, he worked with companies like Discover, Bed Bath & Beyond and American Airlines to grow their businesses, increasing e-Dialog’s value more than eight-fold in four years before it was acquired by GSI Commerce in 2008. Sweetser has also served as CMO of software provider 89 Degrees, and most recently led sales and marketing efforts for email deliverability and analytics provider eDataSource, where he had more than four years of consistent double digit growth. Sweetser also co-authored the book Successful Email Marketing Strategies in 2009. Sweetser’s addition will further accelerate the expansion of MessageGears’ enterprise sales efforts. Walter Rowland, who joined MessageGears in 2017, will add agency and technology partner network expansion to his current ABM and sales development responsibilities as Senior Vice President of Growth. A 2018 Pacesetter Award winner as one of the fastest-growing companies in Atlanta, MessageGears was recently named a 2018 Martech Innovator by The Relevancy Group and one of the Best Places to Work in Atlanta by the Atlanta Business Chronicle.